There is one word that completely captures the essence of The Bahamas: Paradise. We love living and working here and there is nothing we are more passionate about than helping our clients get the best value for their real estate investments on the islands. Whether you’re looking for a vacation home, commercial property, or an investment opportunity – or you intend to settle in The Bahamas – we are here to provide you with the exceptional service you deserve. Our experienced real estate agents specialize in luxury waterfront residential properties from condominiums to land as well as commercial real estate, vacation rentals, and property management. Ask us about your options in Ocean Club Estates, the famous Paradise Island, Caves Village, Old Fort Bay, Sandy Port, Bayroc, and more. 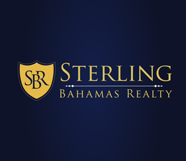 Integrated services and unbeatable insights borne out of years of experience in the real estate industry – this is what you can expect from us at Sterling Bahamas Realty. We take pride in being your one-stop shop for anything and everything real estate on the islands. We can offer our clients seamless access to an enhanced suite of services such as private financing, investment advice, fund management, and property development and construction. Our advisors SFGI, do just about everything in-house, so we can refer you directly to them, so you can enjoy the utmost convenience and you’ll have more time to discover the myriad pleasures of island living. We look forward to smoothing the way for you and ensuring that you’re equipped with all the relevant information you will need so you can make the best possible decisions. With decades’ worth of combined real estate experience, we continue to work hard to build on our reputation for providing outstanding comprehensive services to our clientele. We know the islands and we’re here to help you make your Bahamian investment the best one you’ve ever made yet. Let’s talk about your next real estate investment. Contact us today.